Catholic school teachers possess a strong dedication to their students, helping them succeed in the classroom and beyond. 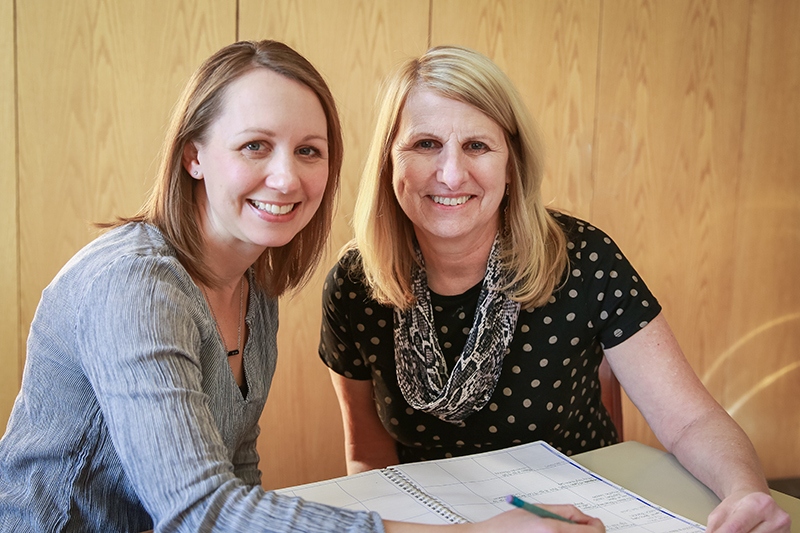 At All Saints Catholic School in Lakeville, a pair of teachers also share a special commitment to each other to be the best they can be for their students. Sue Falvey and Tiffany Clark have been teaching fifth grade at All Saints for 15 years, planning and working together as a team. “They’ve openly shared new ideas and have always had a great respect for each other, which strengthens their teaching and their students’ educational experiences,” said Carol Margarit, All Saints principal. Each teacher instructs their homeroom students in language arts, religion and ability grouping in math, where they teach math to a mixture of students from the two classes. All students receive science instruction from Clark and social studies from Falvey. Falvey said that they bounce ideas off each other for new methods, curriculum or discipline approaches. This ongoing collaboration draws upon their strengths to create uplifting classroom environments rooted in faith.